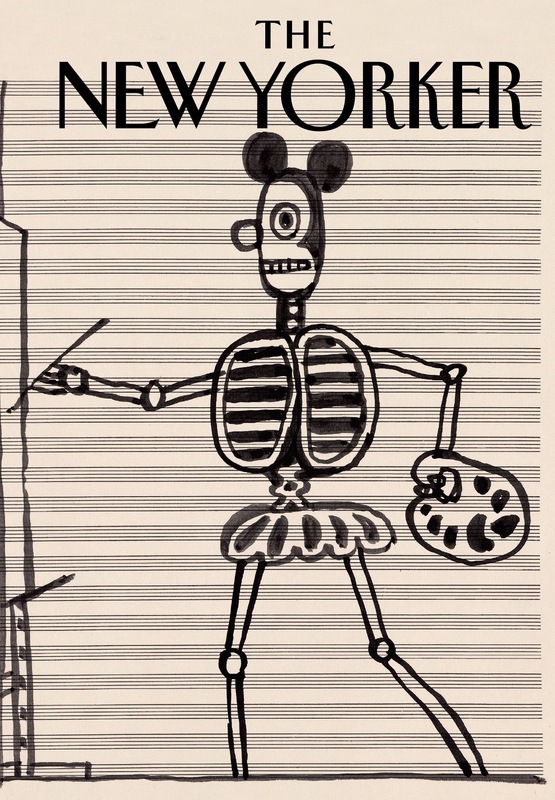 I haven’t even gotten to this week’s issue, but I just finished last week’s, which is remarkably loaded with good substance, notwithstanding its enigmatic untitled Saul Steinberg cover. * William Finnegan’s “Dignity,” a moving portrait of the budding labor movement among fast-food workers and an admirable demonstration of a male gringo reporter identifying with a non-English-speaking Latina McDonald’s employee. Also surprisingly gripping: Alex Ross’s essay on the Frankfurt School of early 20th century intellectuals, centering on the combative friendship of Walter Benjamin and Theodor Adorno and their various takes on pop culture (Adorno and Max Horkheimer, in their 1944 book Dialectic of Enlightenment, opined that the culture industry offered “the freedom to choose what is always the same”).